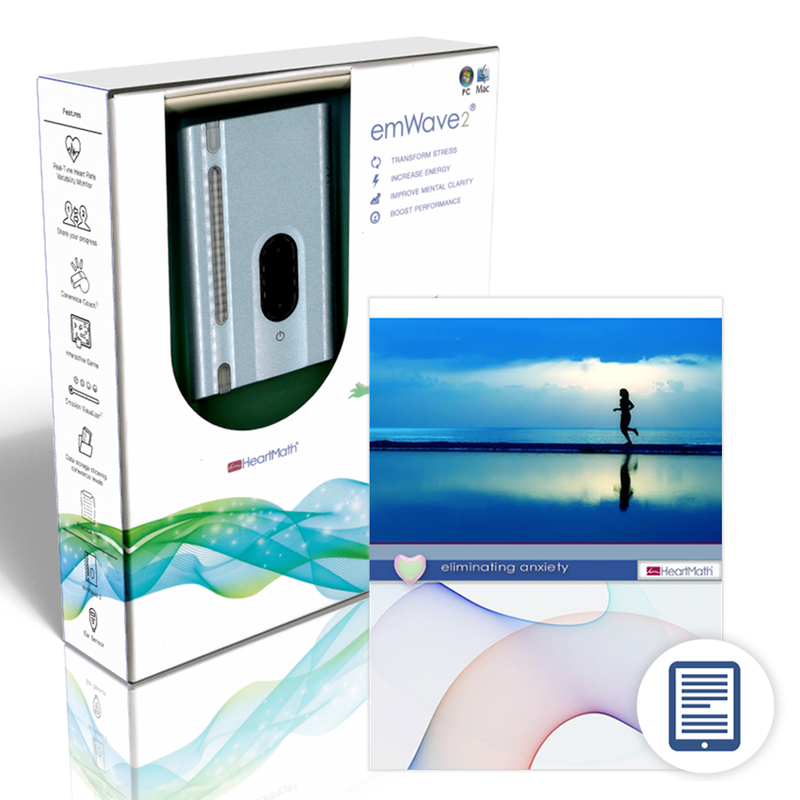 This emWave2 package comes with the Eliminating Anxiety eBook. How would it feel to live with a lot less anxiety? Many people report ongoing high-to-low grade anxiety. You can use the information in this e-booklet to help you lessen the feeling of anxiety. For over 15 years Doc Childre and the HeartMath® staff have been producing books, training programs, research papers, articles, technology and learning systems which combined make up the HeartMath System. The emTech® products were created by utilising information from a variety of sources. They offer some of the best subject-specific information found in the HeartMath System giving you easy access to what interests you most. Life is getting faster and time has become more important than ever. emTach® e-booklets, audio programs and interactive learning modules are delivered electronically so you can get the information you need quickly and inexpensively. Simply download what you want and recieve it right away. This audio program is delivered to you as a MP3 audio file. If you do not have software installed on your computer that is capable of playing MP3 files, then you may want to download the Apple® iTines® software from Apple's website. Click here to download Apple iTunes for free. This is a complete package with no need to buy additional accessories unless you want to charge on wall socket instead your computer or laptop. The emWave technology is an innovative approach to improving wellness and facilitating personal growth based on learning to change your heart rhythm pattern to create coherence; a scientifically measurable state characterised by increased order and harmony in our psychological and physiological processes. HeartMath technologies are tools for life - proven effective to help users quickly release stress and rebalance the mind and emotions. emWave2 will soon sync with HeartCloud™ giving you the ability to track universally, earn rewards for your efforts and share with others. emWave technology collects pulse data through a pulse sensor and translates the information from your heart rhythms into graphics on your computer or into easy to follow lights on the portable emWave2. Used just a few minutes a day, this simple-to-use technology helps you transform feelings of anger, anxiety or frustration into more peace, ease and clarity. As you practice on the go or at your Windows or Macintosh computer you increase your coherence baseline and your ability to take charge of your emotional reactions. Health, communication, relationships and quality of life improve.